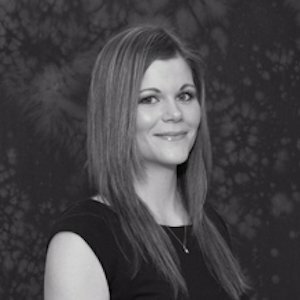 Creating a ‘Right of Appeal’ for a young person. The new system has caused significant difficulties as parents, support groups, Local Authorities, Schools, experts and even the SEND Tribunal try to negotiate it. Under the CFA 2014, a child becomes a young person once they reach the end of compulsory school age (the last Friday of June in the year the child turns 16). At that point, parental rights in relation to the young person’s education should pass on to the young person. Whether this happens in practice however depends on whether the young person has mental capacity. Parental rights could also pass on to a court appointed Deputy or even the LA. Guidance from the SENDT Code of Practice suggests that once a child becomes a ‘young person’ Local Authorities and others should normally engage directly with the young person however, the young person’s parents should continue to be involved in discussions. This creates fundamental problems for those in the ‘new’ category post-18. This is because there is an ‘assumption of capacity’ that when a child turns 18, they are able to make decisions for themselves – regardless of their SEN.
Deputyship – do you need it? then a deputyship in the Court of Protection (COP) may assist them/their parents to make decisions both now and in the future. The COP processes all deputyship applications. If a Deputyship Order is not in place, at 18 years plus 1 day, decision-making will automatically fall to the young person and then the local authority. Deputyship prevents local authorities from making decisions for the young person post-18, which may not be what the young person would have wanted. It also prevents local authorities exploiting the system - claiming that they only have to deal with the young person (who often lacks the capacity to make said decisions) and effectively cutting parents out of decision-making. The COP can make health, welfare and/or financial decisions or instil those powers into a deputy, on behalf of the young person. Decisions that the young person would generally have made themselves, if they had capacity, will instead be made by the deputy on their behalf. The deputy will make best interests decisions for the young person. Best interests decisions are not to be made by a school/college/local authority, they do not have a veto. What about those with mental capacity but who may not be able to negotiate the SEND Tribunal system? So we know that (theoretically) post-18 the young person should be engaging directly with the local authority and making their own decisions. Practically however, many of you will know that this does not work. 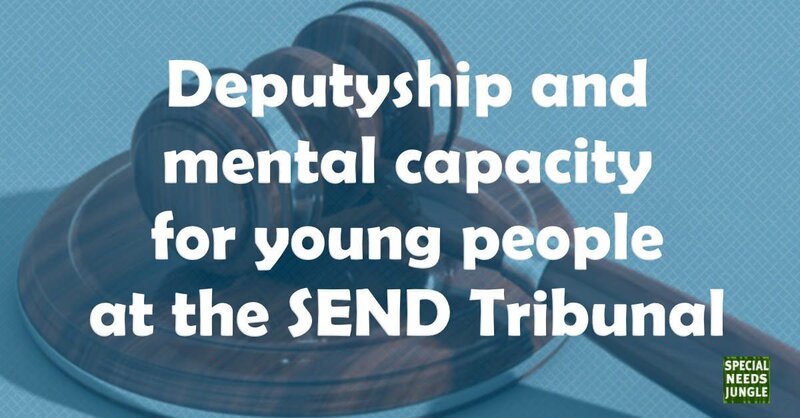 Some young people may have mental capacity but may not be able to face the SEND Tribunal system (particularly the Tribunal hearing). This is often the case with high-functioning autistic young people, who often suffer from anxiety. The young person can lodge a letter with the Tribunal in favour of their parents running the appeal, but they must still provide evidence of their inability to attend the hearing. Arrangements may be able to be made for the young person to attend by telephone, but this is not guaranteed. For those young people, a lasting power of attorney may be able to assist. To create a legally valid power of attorney, the young person must be able to understand the powers they are handing over. They can control the powers given to an Attorney. Therefore a young person can appoint their parent as their ‘attorney’ for health and personal welfare – who can in turn run the SENDT Appeal for them. In complex SEN cases however, where either there is no lasting power of attorney in place and that person then loses capacity or the young person has never had capacity, an application to become a deputy in the Court of Protection is the correct application to make. Mental capacity is issue specific. Whether a young person has mental capacity to make a particular decision or not is considered on an individual basis in light of the circumstances at the time. The mental capacity of a person can change over time, both in the short and long term. Communicate their decision by any means e.g. talking, signing, squeezing somebody’s hand, blinking (simple muscle movement count). A person may also have the capacity to make some daily decisions and not others, i.e. whether to wear a blue or pink t-shirt but not what college to attend. This is because some decisions require the young person to understand more complex information/weigh up more options than others. Please note no young person/adult can be protected from making a bad/unwise decision. A person who has capacity can make unwise decisions. It is a common misconception that you are able to get deputyship to prevent a young person from making unwise decisions – this is untrue. It must always be assumed that every young person/adult is able to make a decision for themselves, until it is proven that they cannot. It will always be necessary to seek a formal assessment of capacity. Decisions regarding a young person’s mental capacity should not be made by a school/college or local authority. As stated above, the unfortunate repercussions of not having a deputyship order in place is that the LA/social services can actually lock parents out of the day-to-day and substantial decision making in relation to the young person. Furthermore, if you are trying to run an appeal for a young person who lacks capacity (but is over 18), you are likely to encounter huge difficulties in obtaining information. The LA will often claim they do not have to deal with you. Deputyship relies on an application being made. That is why it is essential for a young person’s parents (or whoever is becoming a deputy) to apply for an order – particularly if they want to be fairly demanding in terms of provision, i.e. expensive school/college placements or care/options for young person. So when should you apply? Ideally when the young person is around is 16/17, so that when parental responsibility ceases (at 18 years plus 1 day) the deputyship order is already in place. This avoids running the risk of decisions being made which may not be in the young person’s best interests or what they would have decided if they did have capacity, but which nobody can challenge without a deputyship order in place. Schools/colleges continuing to claim that they make best interests decisions regardless of deputyship order. These are all real-life examples of incorrect/misinformed advice in relation to Deputyship. If you are in receipt of such advice, please seek advice from specialist solicitors with experience of working with life-long SEN. Parents can and do succeed in obtaining both types of deputyship. I have successfully achieved it in all of my cases. Don’t wait until you are facing an important decision and no longer have any say…put yourself back in the driving seat. Please feel free to share this blog, but it must not be duplicated anywhere else without explicit consent. Thank you a very helpful article. I learnt the hard way not having a Power Of Attorney set up quick enough for my son (complex medical conditions with fluctuating cognitive function).I was already Appointee. I have now POA & it makes path to all areas much smoother – My son does not have the ability or interest to complete PIP,UC forms, Apply for funding, deal with social services etc. It also means I can deal with University for him & setting up his disability reasonable adjustments etc. That means that he can get on with trying to appear a normal young man & not deal with all the other crap. I take up the slack for him. He feels ill or the time thats hard enough ! So sort out Power Of Attorney folks asap if applicable to your child. So my question is I have a 2nd son with all the same conditions who is 17yrs – 18 next May 2018. So currently in a bit of no mans land. Should I apply for Deputyship to cover now ? POA even if I get him to sign everything on his 18th birthday – it won’t kick in for a few weeks at least 6 after relevant Government Dept receive all the paperwork.